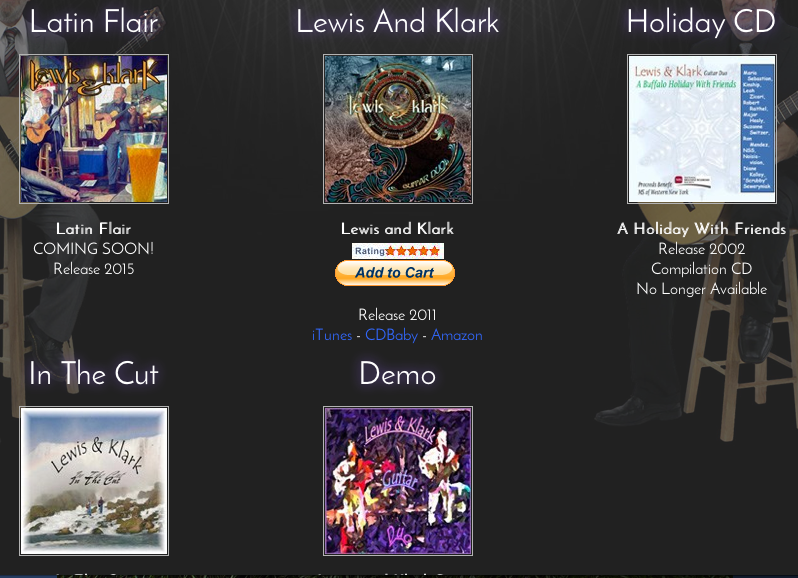 Lewis and Klark Jazz Guitar Duo perform Acoustic Jazz/Rock originals and cover arrangements. A true "American Guitar Duo" with influences from many styles and artists from around the world. Their latest project showcases quality guitar play over quantity and a melody of guitar voices over excess improvisation. "Sometime's what you don't play makes for better music". The duo has produced four albums as of 2016. Lewis and Klark record at LKPro.com, Inc. in Buffalo, NY.Featuring Bob Luterek on a Taylor T5 with a Roland guitar synth pickup and Gibson 135. 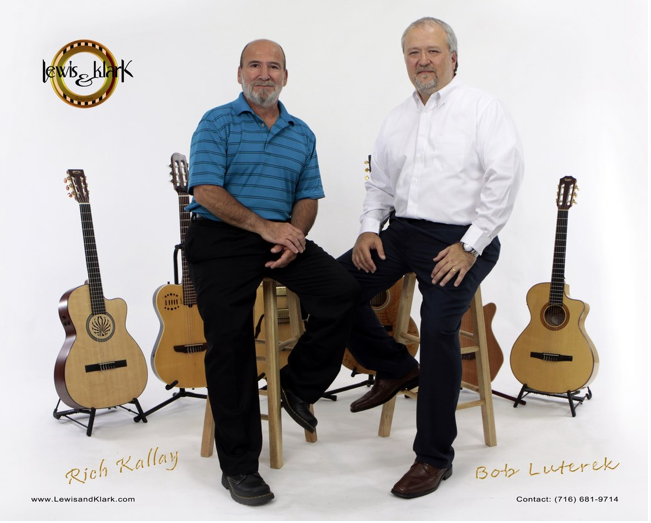 Rich Kallay plays a Godin Multiac Nylon string guitar and Martin Steel string acoustic guitar. Lewis and Klark recordings are done plugged direct into the board and recorded live. 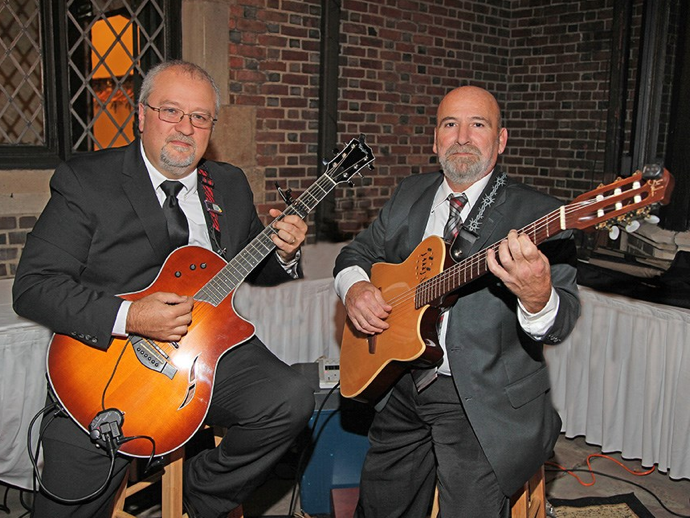 Lewis and Klark duo co-founder Robert Luterek is also the owner of Best of Western New York, an online Western New York-themed magazine with a strong focus on local and regional musicians. Lewis and Klark has performed at the UHAA! Artfest. frequently throughout Western New York. 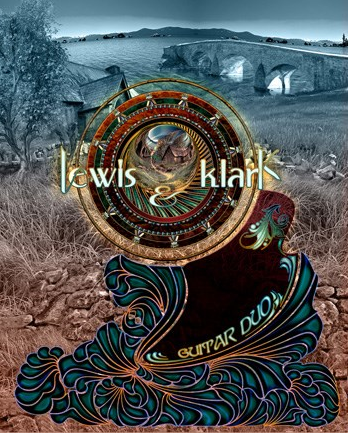 CD and poster cover art for the "Lewis and Klark"